Under the title “How We Create the New”, this annual report sets out to introduce the “Strategy 2020” by the adidas Group. The reporting comprises a magazine and the actual report, interpreting the strategy by focusing on the issues of “how we create the new” and “how we create value”. The Group‘s sustainability report follows the same pattern with „how we create responsibly“. The aim is to give concrete answers to what is to be achieved within the 2020 targets and how the adidas Group wants to create the “new“. 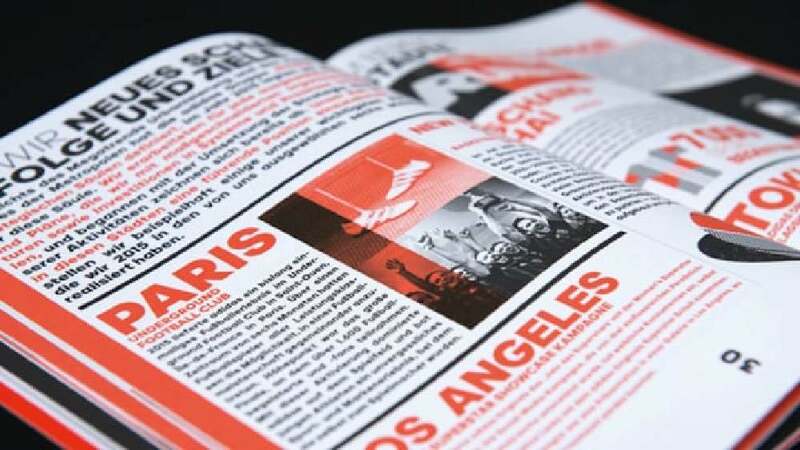 The magazine thus presents initiatives and approaches that the adidas Group has launched and tracked. In addition, the first successes in 2015 regarding adidas‘ three strategic choices of “Speed”, “Cities” and “Open Source” are presented. The content is visualised through a deliberately striking design complemented by powerful images. The dynamic appearance of these publications is achieved through the use of different materials and the principle of a slanted cut. The design of the adidas Group annual report successfully manages to lend each page an ­exciting rhythm, turning the pages into perfect compositions that each tells their own story. Typographic elements are used as illustrations to impressive effect, while a sans serif font is used on the image level. Opting for reduction, the colour design comprises beautiful grey tones and embodies a convincing implementation.